Just to try to conclude from the observations in the studies I cited above: if you look closer at the form and geometry of the fiord basin of Jakobshavns isbrae just outside where the calving front has been since 2016, it is obvious that this part is much wider than the parts of the fiord basin further to the west, where the calving front was situated when it was more stable or retreating slower during the preceding decades. So clearly the widening geometry of the basin must have been a contributing factor to the rapid retreat since around 2003, of course combined with the rapidly rising percolation of surface meltwater lubricating the basal slide of the icestream, due to rising temperatures and diminishing surface albedo. Also the warming fiord waters underneath the floating parts of the glacier have been a factor. Thus I suspect that the causes for the recent thickening of the glacier just behind the calving front may be more of a geometric and local nature than this last study seem to conclude. Looking at airphotos and maps etc. from the area, it seems that the fiord basin is narrowing again behind the current calving front, thereby contributing to the current reversal of the glacier’s retreat, which I suspect will be rather short-lived, unfortunately. Generally, it is also well-known from the late-weichselian history of the parts of the Fennoscandian ice-sheet, that the fast retreat due to calving from around 11000 BP to around 10000 BP in fx. the Sognefjorden basin in Western Norway came to a standstill when the outlet glaciers reached the innermost ends of today’s fiord arms. Because by then the glacier profile had become much steeper due to the rapid retreat from calving and now the outlet glaciers were resting on the ground. Of course the topography around Jakobshavns isbrae is much lower than in the Sognefjorden region, and probably the icestream base further inland is below the current sea-level (calving could therefore easier continue), meaning that this comparison has limited implications. But still I think it is of some relevance. Of course they would support it if it’s viable and safe. They would much rather confront Trump and his GOP sycophants on their idiotic economic policies and their bottomless depravity and corruption, rather than an existential threat to humanity. That being said, there are a lot of technologies being explored to remove carbon from the atmosphere. None have been ramped up successfully as of now. If you were to put one of them into action, you’d probably make a whole lot more money than the Koch brothers pay you. Page 23 fig. 13a and 13b. As you can see, the calving front after a pause in the mid-twentieth century again has retreated from 1963 and the retreat has especially been speeding up since around 2000. The JAXA Arctic Sea Ice Extent for 30th March dropped to record levels for the time of year, as shown on this graph of JAXA SIE Anomalies (usually 2 clicks to ‘downlad your attachment). Mind, the ice levels through the Spring maximum are not indicators of what to expect through the rest of the year. 2012 is well-known as the year with the meltiest summer although less well-known, 2012 was a rather icy year until mid-June. Excepting the height of the summer melt, it is recent years that have been been setting the record for least-ice-for-the-time-of-year. Indeed, 2016, 2017 & 2018 all began the year setting the record. In this, 2019 has been the exception with no least-icy records set – until now. And with the Arctic SIE least-icy records tumbling so readily in recent years, could this prove to be the start of one of those “Hold on to your hats! !” episodes? “The “hundreds, if not thousands more” that you mention are a problem – once a social program begins it never dies. They’re bankrupting us. Some social programs are OK – Social Security (since most folks don’t have pensions from their job), military, but those need serious reforms to make them more efficient.” K.I.A. (killed in action)? You never did take the hint did you. Anybody reading your drivel knows you’re a Conservative/Russian/Troll. How you continue to get away with it is beyond me. What’s bankrupting us is YOU, with your Corporate Welfare and Russian Asset, Trump turning a profit off of the Office Of the POTUS. Meanwhile, a Federal Judge just overturned Trump’s Executive Order to allow drilling in the Alaska National Wildlife Refuge which would have been another FREE HANDOUT to Rexxon Tillerson and his minions. “Senate Minority Leader Chuck Schumer accused Senate Majority Leader Mitch McConnell of using political theater to hide his lack of a plan to address a warming planet. Democrats don’t fall for political stunts. That’s YOUR job, K.I.A and I must say you performed exceptionally well in being a fool. How do comments like #136 and especially #151 pass moderation? I’m wondering the same exact thing. Arctic Sea Ice set consecutive records March 29th, 30th, 31st according to JAXA-NIPR-ADS. Bremen shows the same. NORSEX is a few days behind, so doesn’t show it in record territory, yet, for extent, but already shows ASI Area in what looks like record territory (the graph is not interactive like JAXA’s), which is the more important measure. This may mean nothing, ASI being notoriously difficult to predict for any given year despite the long-term trend. 2018 spent much of the winter in record territory only to end up 4th in extent. Watch for development of the dipole, storms that break up the ice and wind generally more than usual in the direction of the Fram. Might be an interesting year. Or not. Expect more record days over the next few days as the AO (Arctic Oscillation) turns down and likely ends up negative, and Arctic mean temps have been rising. 2018 ended up a relatively tame low in Sept given its winter start, but like those two days of high Mauna Loa readings in January, this *feels* like it could be something. No promises, of course. With the exception of 2015, I make my ASI predictions the first half of July…. and it still is very hard to get right. Everything before July is just too variable to be of much use. Oops. Blew the math: @ 46~48k sq km/day. Still not numbers typical of the last two weeks of March, and still record loss for that time period, 3/12-3/31. which I don’t think you understood. The question is: What question are you answering with your “statistical significance over 30 years other than that there is statistical significance over 30 years? What decision shouldn’t we make, or what bet shouldn’t we place, if our data is only 25 years, for example? Note that I didn’t mention the Jet Stream at all; I’m talking about the underlying physical principles, as I think I said originally. …the underlying physics has not been contradicted. So, my “degree of confidence” is the result of a combination of my confidence in physics and the particular data that has been presented. You can’t just dismiss a sound theoretical argument because you haven’t met a particular statistical criterion with your data. Hope that helps; I’m happy to continue if you have a question. But we’ve had high temperature anomalies over the Central Arctic Basin for a while now, and they are predicted to hold for a while more. (It’s also sunny, with a very dry atmosphere, if I’m reading the Climate Reanalyzer maps correctly.) So over the next week or two, we’ll probably see extent continue to drop rapidly for the time of year. This statement makes no sense to me. If annual man-made emissions “level off” to a constant amount (e.g. 44 billion tons per year) it would seem apparent that CO2 atmospheric concentration will rise, whether national reporting irregularities are involved or not. MEI (Multivariant ENSO Index) had been last published in December, prior to the Trump close-down of govt. The delay was due to an update for the MEI and this has now been published as MEIv2. The web-page describes “Warm (red) and cold (blue) periods based on a threshold of +/- 1.0 for the MEI.v2.” This would suggest no “warm period” has occurred since the 2015/16 El Niño but do note that the next update to ONI will be for JFM and this will return a value of 0.7 (or there abouts), thus providing the fifth ‘monthly’ value at-or-above 0.5 and so will result in those ‘months’ being coloured in red indicating El Niño conditions. The continuation of the Abstract does sort of say the “continue to rise” refers to the rate of atmospheric levels and not the absolute level. Mind the paper is a bit confusing in its analysis and in my mind flat wrong with its conclusion. The paper makes plain that CO2 emissions must be first stabalised and then CO2 levels stabalised. But beyond this truism, the paper also considers both CO2 emissions and increasing population and says that population needs to be stabilized as a precondition of stabilizing CO2 emissions. Yet the paper is also quite specific that CO2 emissions require reducing to zero, a situation that would then be entirely independent on population. First, there is nothing magic about 30 years. That just happens to be the time frame over which sources of noise become less significant (with some confidence) than the anthropogenic signal. In the case of the jet stream, the proper time frame would depend on how noisy the data are. I’m not even sure we fully understand what the sources of noise are for this signal. Regarding the debate on statistical significance, I think it pays to remember that Fisher was a working statistician. He developed recipes that worked for the ingredients and processing techniques he had at hand. He HATED Bayesian statistics, and even if he had the additional insights into Bayesian methods we not have (grace a Jeffries, Jaynes…), I’m not sure he would have used them. Also, by all accounts, Fisher was not a pleasant man. He hated Pearson, and went out of his way to embarrass him at every turn. Most people were probably too scared of him to even ask for clarification. Statistical significance a la Fisher is a tool. If it turns your particular bolt properly, great. If not, use something else. 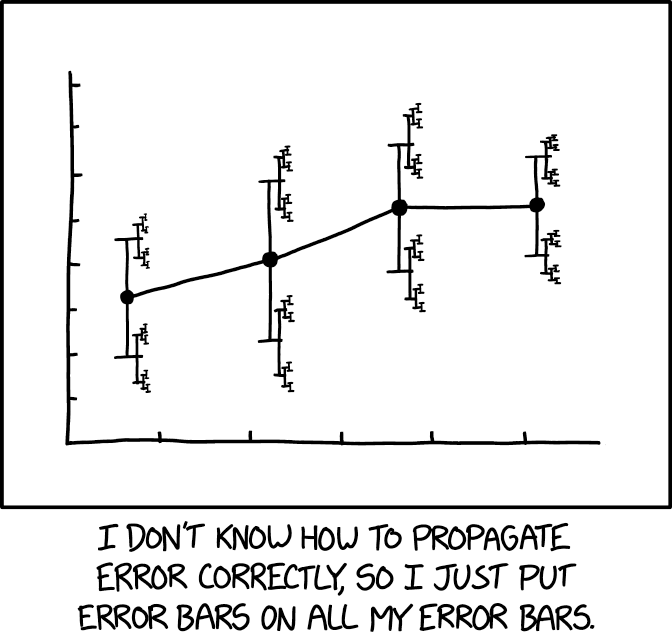 If you don’t know which tool to use, ask a statistician–or better, 2 or three. Yeah, that report is a bit confused. I’ve been using the number given by Gavin, which is that to stabilize CO2 ceteris paribus you have to reduce emissions by 80%. I find their approach unconvincing in many ways, but not worth the bandwidth to discuss. No El Nino, yet. Maybe in 2nd half of the year. CO2 yoy growth has decreased over the last month and especially last week. Notions the above (2.4) avg CO2 growth thru dec-march are connected with / driven by an el nino event appear premature. ENSO has been mostly been neutral. UAH has posted the March 2019 TLT anomaly at +0.34ºC, a shade down on Jan (+0.37ºC) and Feb (+0.36ºC). March 2019 is the 5th warmest March in the UAH TLT record, sitting below 2016 (+0.76ºC), 2010 (+0.52ºC), 1998 (+0.47ºC) & 2004 (+0.34ºC) and a goodly step ahead of 6th place 2007 (+0.27ºC). March 2019 is =43rd warmest month in the all-month UAH TLT record. As a start-of-the-year, Jan-to-Mar 2019 is the 4th warmest on record behind El Niño years 2016, 1998 & 2010. 5th warmest start-of-the-year is 2017. Question: “Has the jet stream really been getting slower, more wobbly, or are we just paying more attention to it now than we did in the past? “What decision shouldn’t we make, or what bet shouldn’t we place, if our data is only 25 years, for example? What if the data only spanned 5 years? How would you answer the same question? Or what about 5 months or 5 weeks? Scientists appear to have settled on a minimum of 30 years for detecting a climate change signal…..as opposed to natural variability. I agree the number is somewhat arbitrary. I agree, but asking relevant questions does not equal a dismissal. Quite the contrary. The theory makes a lot of sense and I’m betting people like Cliff Mass will eventually change their opinion. Kind of my point, Ray, but in a more general sense. As you say, the different statistical criteria are tools, that have differing utility in different applications. However, that’s not what I am talking about– I may have used some Bayesian-like expressions, but they were meant in a more epistemological sense– not “which formula should I plug into”. I used the 30-year thing metaphorically, and because it was Snape’s topic, and I want to illustrate what seems to me a failing in communicating with or educating the public. “So, we still can’t be sure there isn’t some Undiscovered Energy Iris that appears with CO2 to negate CO2’s insulating effect.”? Due respect to Tamino et al, who work with statistics way above my pay grade, but that’s not my sense of how science moves forward, or how we deal with real-world problems. It certainly shouldn’t be the impression that is left with “the public”.